Android has always been a little funny about equalizers. The OS has supported equalizers for a while. However, it’s still not a great experience. Some music apps have them. Others do not. You may listen to music on Poweramp but then get a different a different sound because Google Play Music has no native equalizer. Global equalizers exist on Android, but their non-system level permissions prevent them from being truly effective. In short, it’s a giant, inconsistent mess. It’s one we’re hoping we can clear up with this list of the best equalizer apps for Android. Please note, some of these will work on your device. Others will not. You’ll have to try out a few to see if they work for you. Some music player apps have their own equalizers. Check those out and more! 10 Band Equalizer is exactly what it says it is. 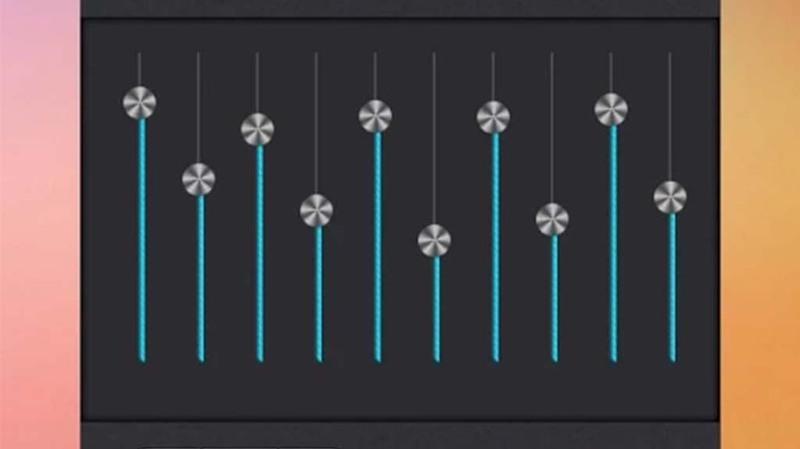 An equalizer that has ten bands. That is special because most have only five. It adjusts the frequency from 31Hz to 16kHz and from a range of 10dB to -10dB. It includes a built-in music player. However, it should work with most other music players as well. You’ll also get equalizer presets, a volume booster, bass booster, treble booster, and you can adjust left and right balance. It’s one of many equalizer apps that you can pick up for free. The only thing missing is a pro version to remove ads. Equalizer and Bass Booster is fairly self explanatory. It has an equalizer and a bass booster. To be more specific, it includes a five band equalizer, ten equalizer presets, and a bass booster. The developers state that it should work with most music players, video players, and FM radio. The only major issue is that the app will close sometimes when left in the background and sometimes it doesn’t always work. It’s one of the simpler equalizer apps and it should work on most devices. Equalizer FX is one of the cleaner, more modern equalizer apps. It is exceptionally easy to use. It comes with a five band equalizer, bass boost, virtualization, and even a loudness enhancer (Android 4.4 and up only). Like most, it comes with a widget along with presets to get you started. The developer has also stated that this should work with most music players, including Spotify, Google Play Music, Pandora, and others. The paid version is the same as the free version. It just removes advertising. Music Bass Booster is one of the simpler equalizer apps out there. It’s a standard five band EQ with ten presets. You’ll also get a volume booster, bass booster, and more. It comes with a fun looking, if somewhat antiquated design. Otherwise, what you see is what you get. It should work with most apps on your device. Some have complained that the app won’t stay open in the background. However, that’s likely a compatibility issue rather than a bug. It worked well enough for us. Music Equalizer is another simple equalizer app. You’ll get most of the same kind of features. They include a five band equalizer, a bass booster, a virtualizer, and more. It also includes ten presets, a four-by-one widget, and more. Like most, it hangs around in the background. That means it’s prone to being cut off if your device is really strict about background processes. Otherwise, it’s one of the better equalizer apps. You can get the app for free. The $1.99 in-app purchase is to remove ads. Halfway there! Check out some more fun app lists! Music Volume EQ and Bass Booster is one of the most popular equalizer apps out there. Thankfully, it actually works pretty well. It includes the standard five band EQ along with nine EQ presets. Along with that, you’ll get volume control, bass boosting, loudness enhancement, and more. The developers also boast that it should work well with most video and audio players. All in all, it’s a positive experience for a software equalizer. It obviously won’t work with everything and you get more presets from others on this list, but this works okay. It’s also entirely free as far as we could tell. Neturalizer is one of the most unique equalizer apps that we’ve seen. Instead of giving you an EQ to adjust yourself, it has one that adjusts itself based on what you like. During set up, you’ll be asked to listen to sounds at various frequencies. You turn them up or down based on how well you hear them. When you’re done, the app auto-generates a unique equalizer preset just for you based on the speakers or headphones you’re wearing. The free version lets you create one preset while the pro version lets you create as many as you need. If you try this, we recommend re-doing the audio test with each new set of speakers or headphones you plug in as they will produce different results. Sonarworks True-Fi Beta is one of the newest equalizer apps on Android. It’s also a music player with integration with Spotify. It has an equalizer that does a lot of neat things. It can adjust the sound for various age groups in different ways. Thus, it sounds different for 20 year olds than it does for 40 year olds. Additionally, it can mimick the sound of various other types of headphones. It’s a unique experience, especially if you use Spotify along with your own music collection. We don’t think it works with other apps, though. This one is free, but it’s also in beta at the time of this writing. Viper4Android is, by far, the best of the equalizer apps. Unfortunately, it’s only for root users. It’s been under development for years. It’s installed to the system partition so it has far more control than any of the normal equalizer apps on Google Play. The app also includes a ten band EQ, tons of presets and settings, effects, and more. It’s a pain in the rear end to install sometimes. However, it’s totally worth it once you do. Viper4Android should be compatible with most rooted devices and many custom ROMs add it by default. It’s exceptionally good and we hope that one day, Google gives us something like this in Android proper. Many music player apps have equalizers built-in. Some notable examples include BlackPlayer, Poweramp, and Neutron Player. These apps have effective equalizers that do actually change the sound. However, they only work within the app. Thus, those of you that stream music can’t use the equalizers in these apps for your streamed music. On the other hand, those with private collections can use these all day. Music player apps vary in price and functionality. We have a list of our favorites toward the top of the article under the first paragraph. Thank you for reading! Here are a couple of final app lists to check out! If we missed any great equalizer apps, tell us about them in the comments below! Thanks for reading!